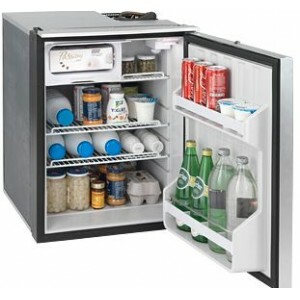 The CRUISE ELEGANCE marine refrigerators are available in four sizes – 49 to 130 litres capacity. Door panel comes standard with laminated silver grey panel and handle, plastic black cabinet frame (brushed stainless steel overall look). Door panel and handle can be customized in a few minutes. A new handle has been designed to open large sized doors from a central position. Lowest power consumption on the market. 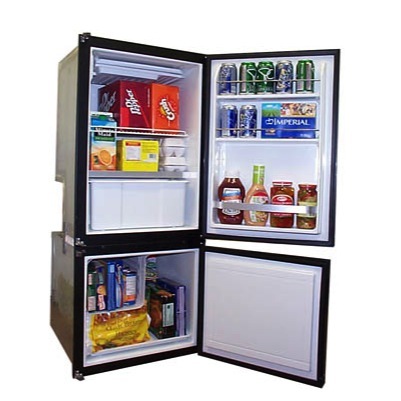 Isotherm Smart Energy Control Ready – the Cruise Elegance fridges have been prepared and tested for the installation of the SEC. (The location of the sensor is pre-configured in the cabinet). The Sophisticated, processor-based technology achieves significant power consumption savings by continuously scanning a set of key environmental factors to determine, through advanced proprietary algorithms, what is the most relevant compressor speed to maximise the performance. Reliability conjugated to a service throughout the world. 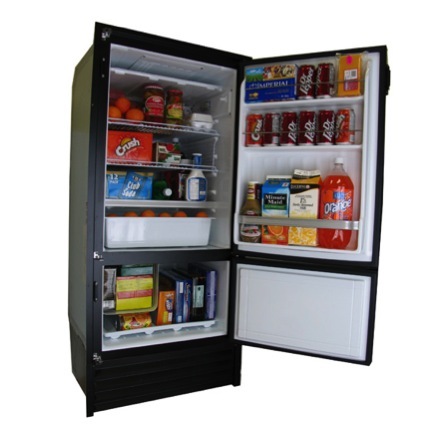 With a simple slide of the invisible mechanism, CRUISE Elegance fridges can be switched to ventilation status. The door is kept open while the fridge is out of operation. 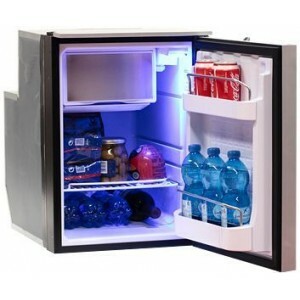 The Cruise Elegance 49L is the smallest fridge of the new CRUISE Elegance line. 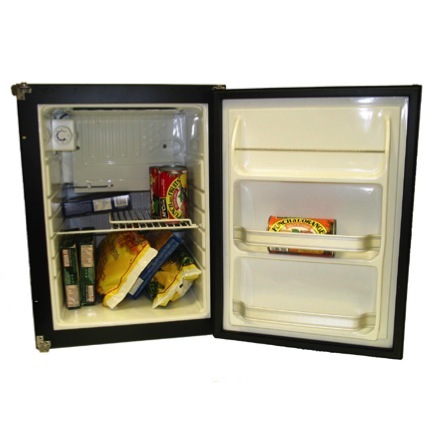 The fridge features a new inner lining with one adjustable shelf and two retainers inside the door, as well as a freezer compartment with a volume of 4 litres with magnetic steel evaporator door. 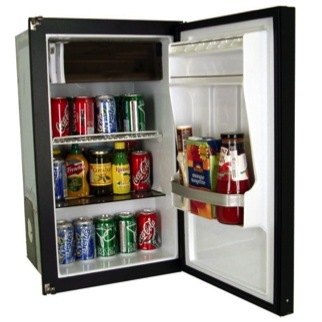 An innovative internal bushing structure prevents the crushing of the insulated side wall.